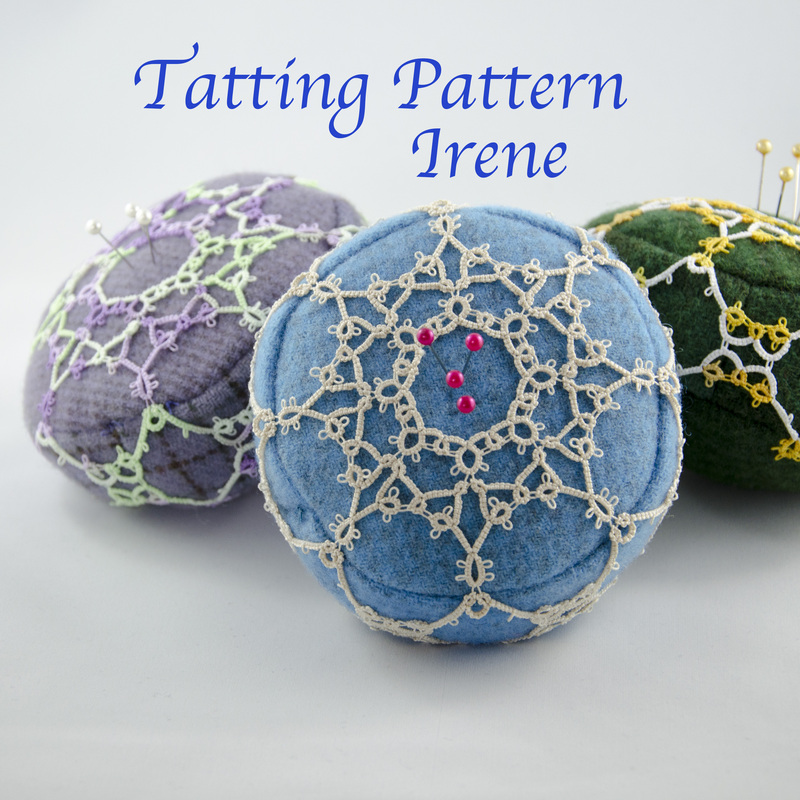 Pincushion Irene at my Etsy shop now! 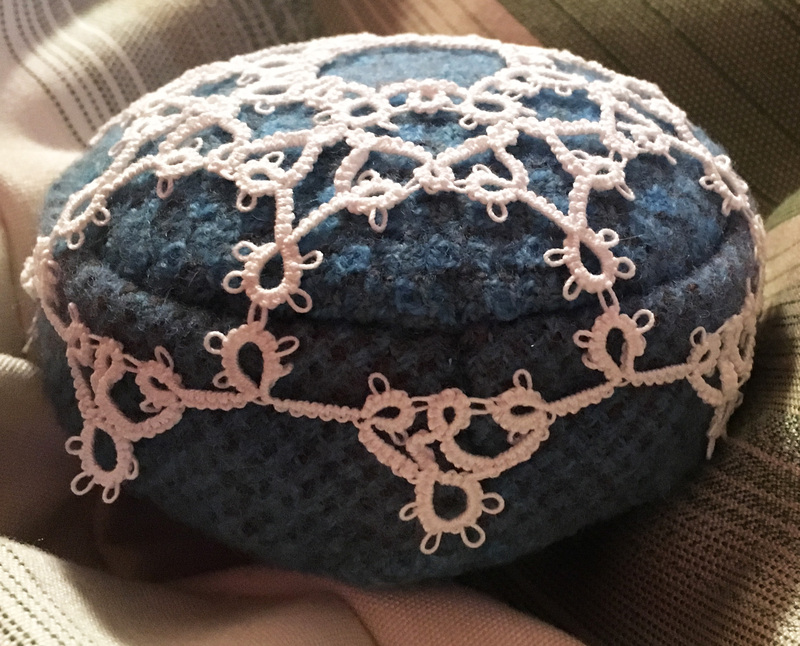 Pincushion Irene is now available at my Etsy shop! Posted on June 9, 2017 Categories CompletionTags Irene, pincushionLeave a comment on Pincushion Irene at my Etsy shop now! Row 4 added to Irene. The set of three rings gets a natural companion set. 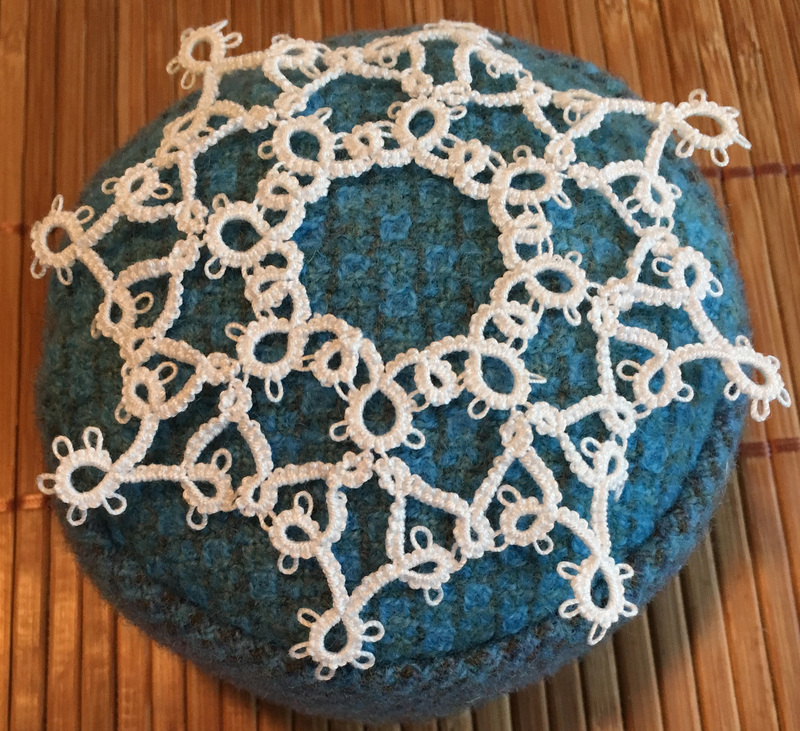 The final row for this pincushion is a easy, natural mirrored repeat of row 3. I’m quite happy with this pattern and will now write up the pattern and test it a few times! Possible row 3 for Irene echoes the set of three rings, but spacing is not good. 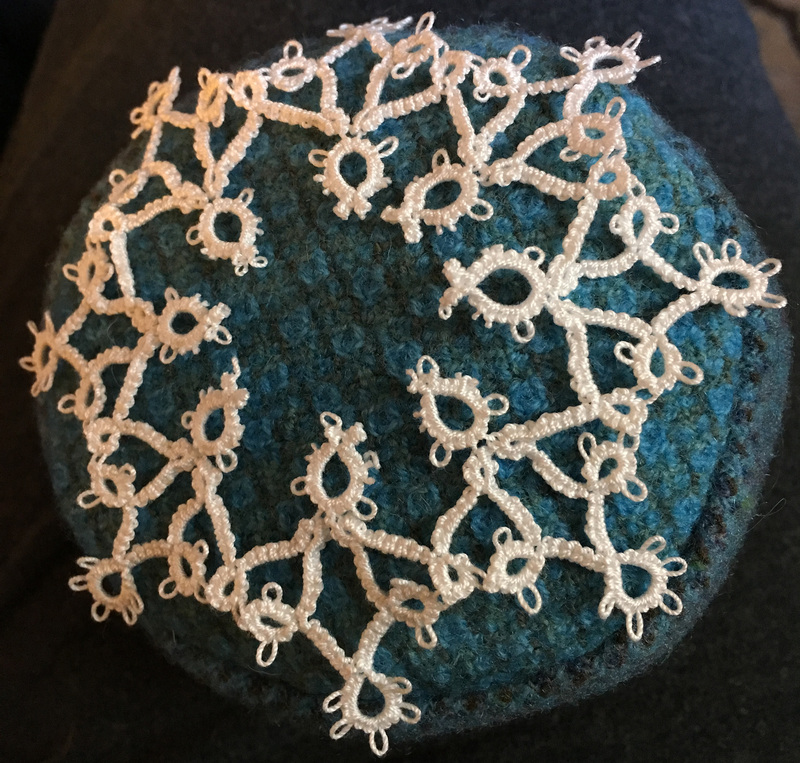 I think echoing the pattern from the top of the pincushion is a good idea, but my first attempt is not satisfying. Row 3 with better spacing, and repeating the set of 3 rings nicely. Now this side is very appealing. It is delicate and has the three rings again, and is not stressed or pulled. 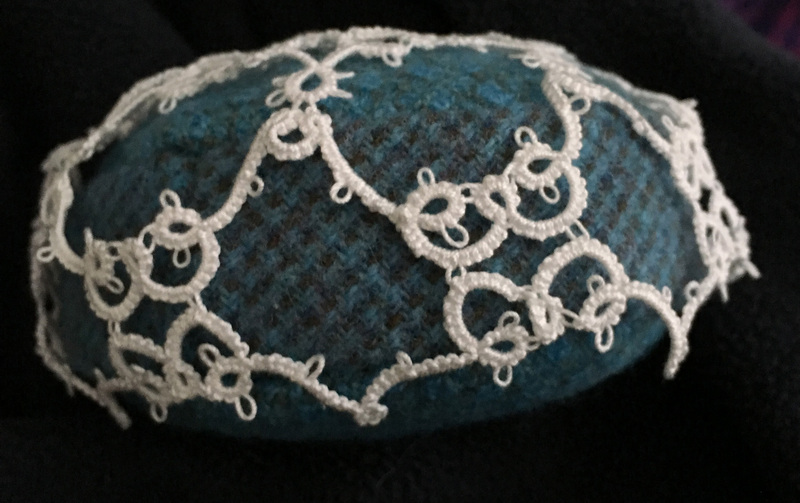 First attempt to modify pattern Helga to make 8 points for a pincushion pattern. 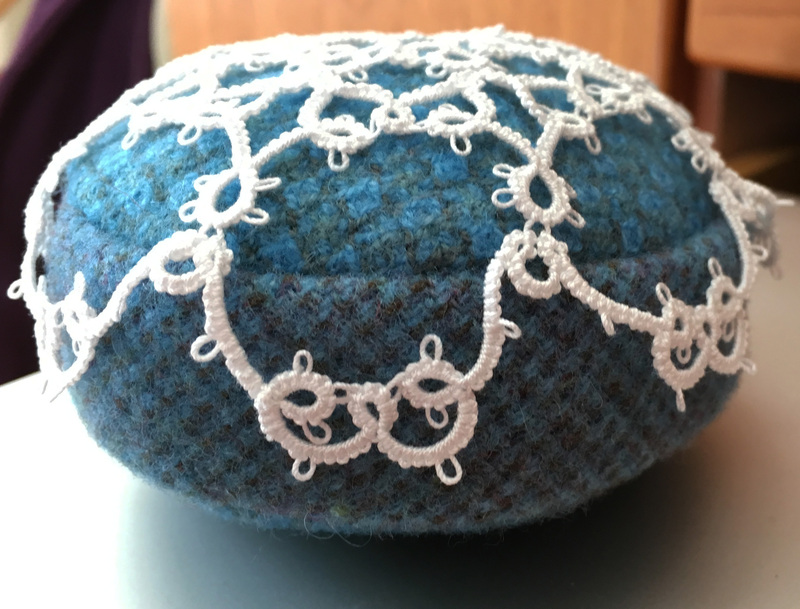 First attempts to modify the pattern Helga to create a pincushion I will call Irene… needs some work. The first, middle row is too small, so the second row buckles too much. Putting it on my sample pincushion shows it will not sit flat on the cushion. Irene with first row cut to see if spacing of second row would work with a different first row. The fun of experimenting – I get to cut the first attempt to pieces! This shows that the second row may actually work well, if I do something different with the first row. Rows 1 and 2 complete for a new pattern that has potential. And there we have it… a new first row. And the second row works well around it. The first row now has the flavour of the 3 little rings I liked so much from the inspiration pattern, so I’m very happy with this. 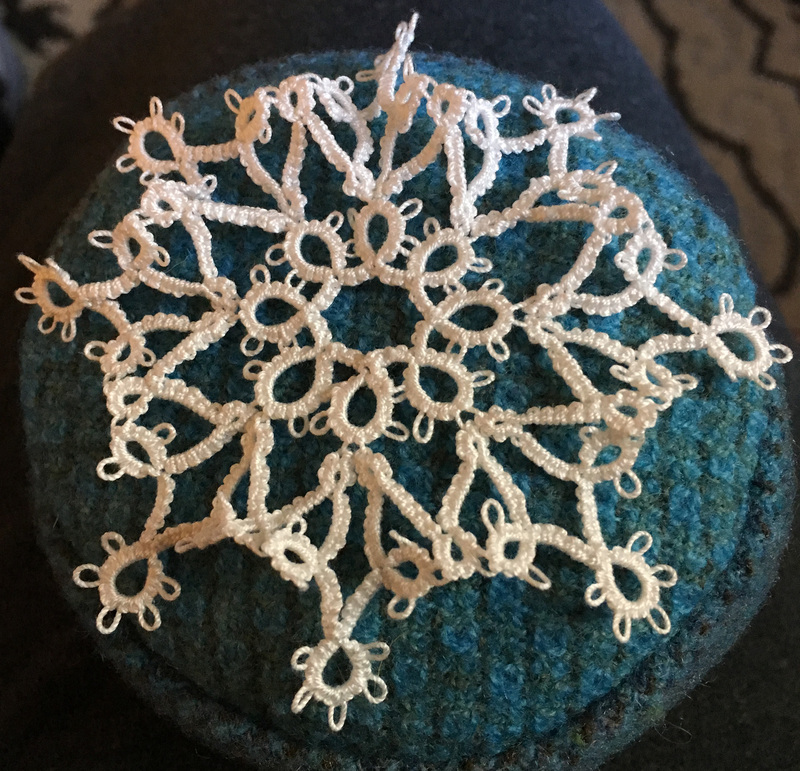 My snowflake pattern Helga – which is still in development – is the inspiration for Irene. Here in very rough shape! Experimentation is key to working out a good pattern. 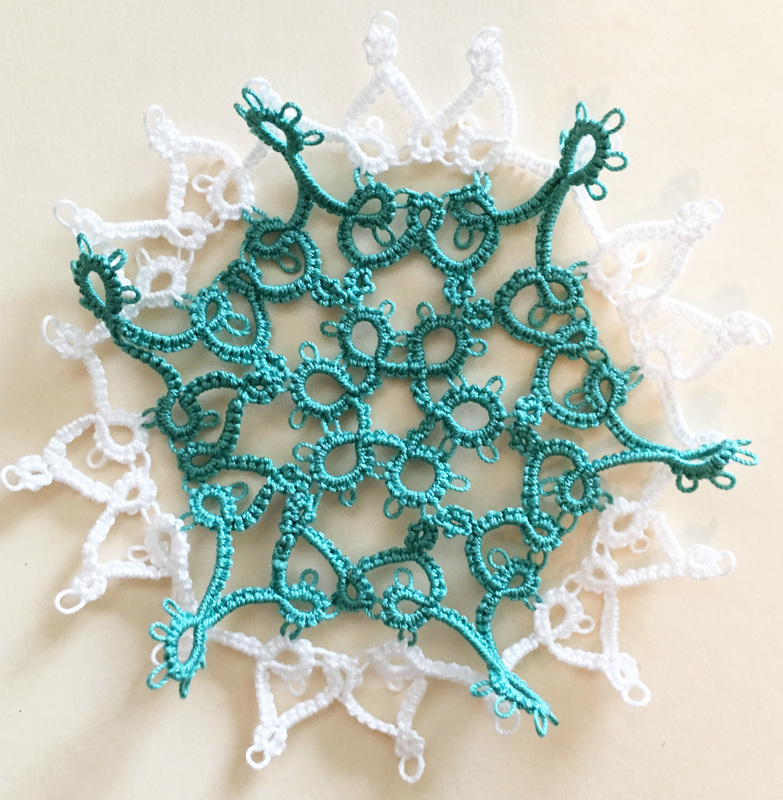 Here is my snowflake pattern Helga (which still needs a lot of work) in green, with a bit more work done on it in white. I like the group of three small rings. I’ve mirrored the three rings with another set of three rings… it needs work, but this has potential.